Chris Portale wouldn't mind paying more for his Amazon Prime membership. He uses it to buy heavy items like dog food for his two Weimaraners, Luke and Leia. Amazon said it is thinking about raising the price of Prime membership by as much as $40, hoping it can strike the right balance between managing rising costs and scaring away customers. Prime members get two-day shipping on a large number of Amazon items at no extra cost, plus the ability to borrow Kindle books and stream movies. Prime currently costs $79 a year, but that might jump to $99 or even $119, according to Amazon (AMZN) chief financial officer Thomas Szkutak. An extra $40 would represent a 51% price hike and could push customers away. But the math might still makes sense for Prime members, depending on how often they take advantage of the free two-day shipping option. Chris Portale is an accountant in Sarasota, Fla., who figured that out. 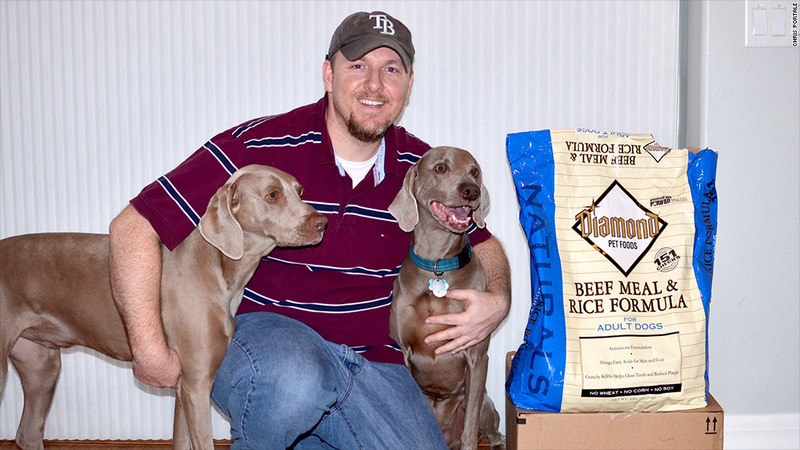 He relies on Amazon to feed his two 70-pound Weimaraners, Luke and Leia. He'd rather not carry a 40-pound bag of dog food home from the supermarket twice a month. Ditto for his recent bulky purchases: a five-foot tall electronic meat smoker, heavy metal safe and garden composter. Portale said that since Amazon doesn't take package weight into consideration for Prime customers, he is getting more than his money's worth. Even if the cost of Prime membership rose to $300, it would still save him money, he claimed. "It really wouldn't change my habit," said Portale. "I rarely go into any brick and mortar stores these days." The same is true for Adam Clarin, a Miami-based optometrist who estimates that he spends $10,000 a year on 400 items, including office supplies. "When you break it down, with the amount of products I order, Amazon will never be going to a place that makes me flinch and stop me from using Prime," he said. 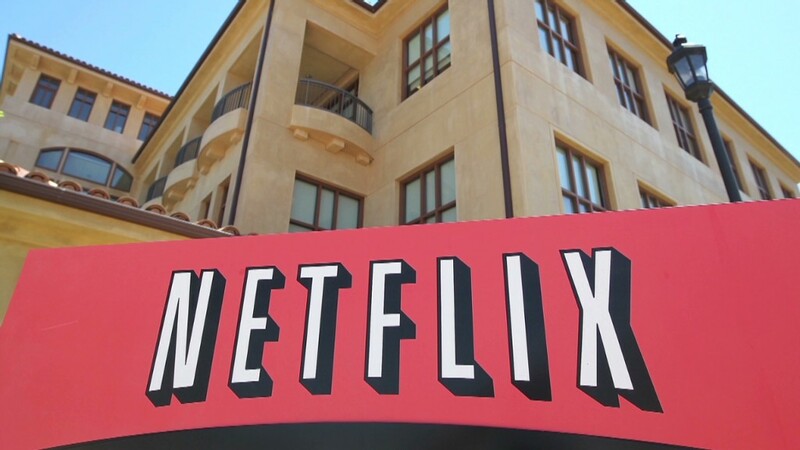 The worry for Amazon is that it'll suffer the way Netflix (NFLX) did in 2011, when the streaming video company raised membership fees by 60% and lost 805,000 subscribers in a single quarter. Neil Doshi, an tech stock analyst in San Francisco with CRT Capital Group, thinks most people won't mind a $20 increase but a $40 jump "might be hard for consumers to swallow." "I do not expect there to be so much angst against this price increase, but I do expect there to be some modest churn," Doshi said. Marty Malone might be among them. The 67-year-old retired school teacher from Meadville, Penn., said paying an extra $40 would make him think twice about signing up for Prime for an other year. He and his wife could have just as easily made their recent purchases -- animal crackers, tools and gifts for the grandkids -- at a local shop. "We'd consider dropping it," Malone said. "They say they offer movies, but the selection stinks. We have Netflix anyway." Ricky Vargas, an IT technician in New York, said he'd drop Prime if it goes above its current $79. He'd prefer a choice of different tiers of Prime: He'd keep the free, expedited shipping and drop the video streaming options. There's no telling when and if Amazon might jack up its prices. On Friday, Prime members could log into the website and still find a company note reminding them that in in 2014, "you will be charged $79 for another year of Prime." On the company's earnings call Thursday, Szkutak said the company has not finalized its decision. He cited increased fuel costs for the need to raise prices. But some bank analysts note that crude oil prices have remained fairly steady since 2011, so the real pressure might be coming from Amazon's huge hiring spree. The company has quadrupled in size to 108,000 in only four years. The more important point, however, is that the price of Prime hasn't changed since it started nine years ago, even as the deal has gotten better. The number of products available for free two-day shipping has grown from 1 million to 19 million, and the program now includes movies, electronic books and the prospect of same-day shipping in the near future.